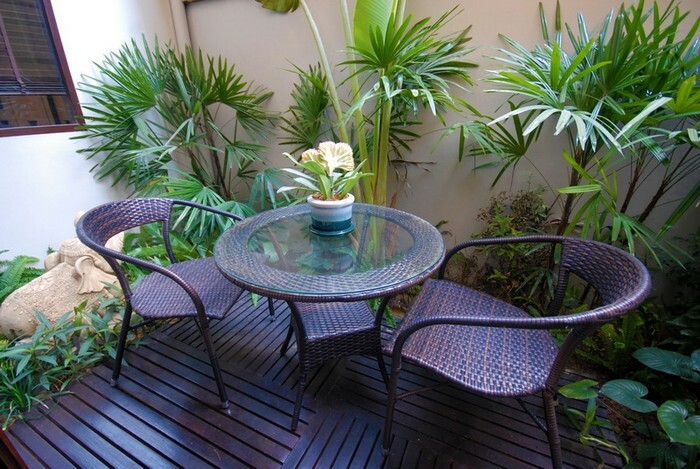 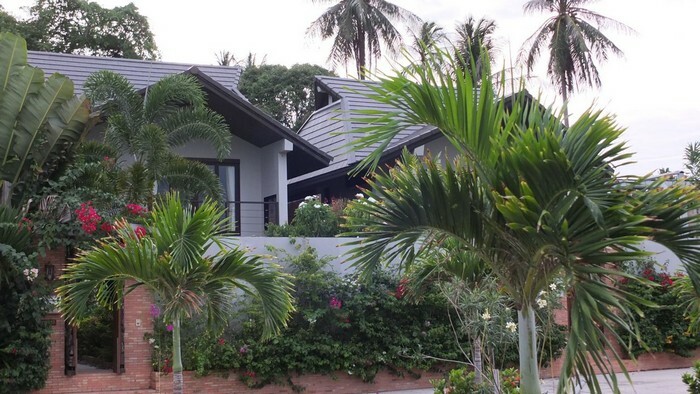 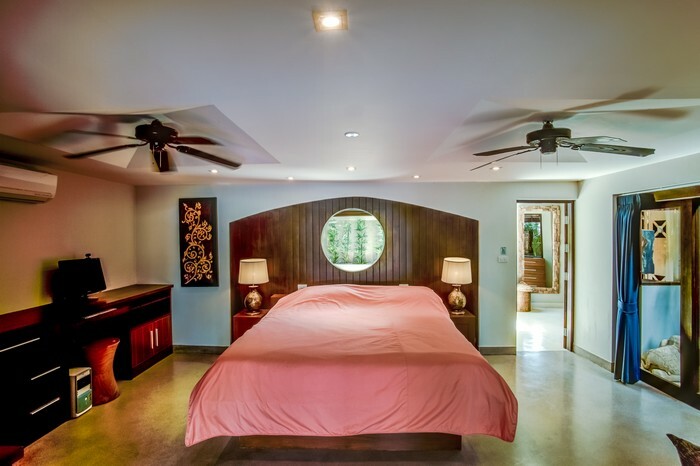 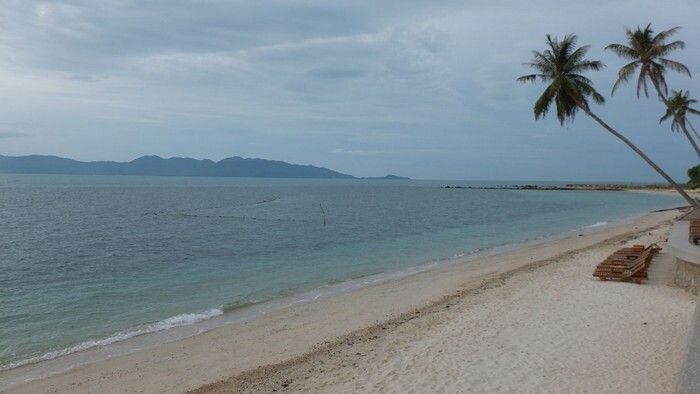 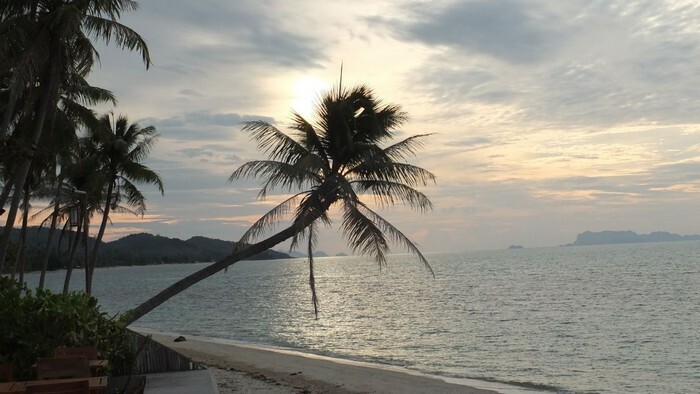 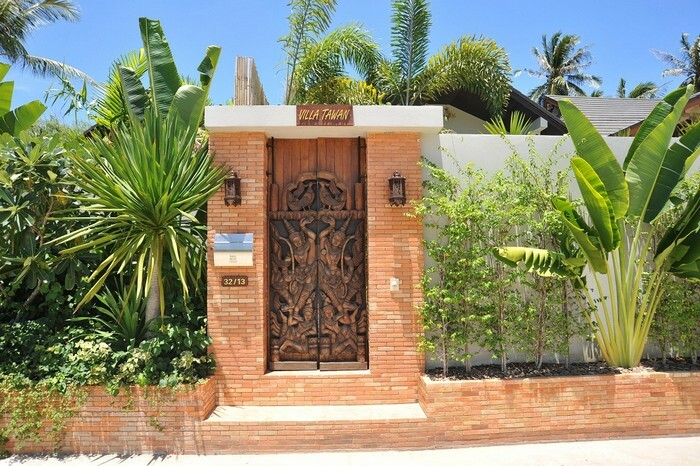 3-bedroom tropical villa in gated villa resort only 200 meters from an unspoiled beach. 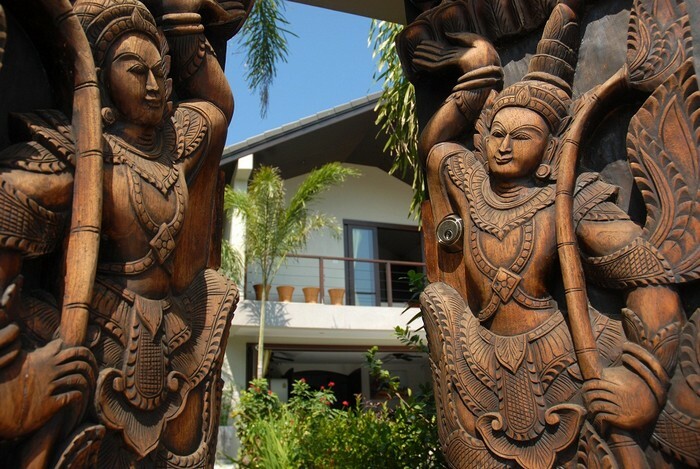 From the moment you cross the threshold of the villa, you feel all the comfort, relaxation and privacy of the place. 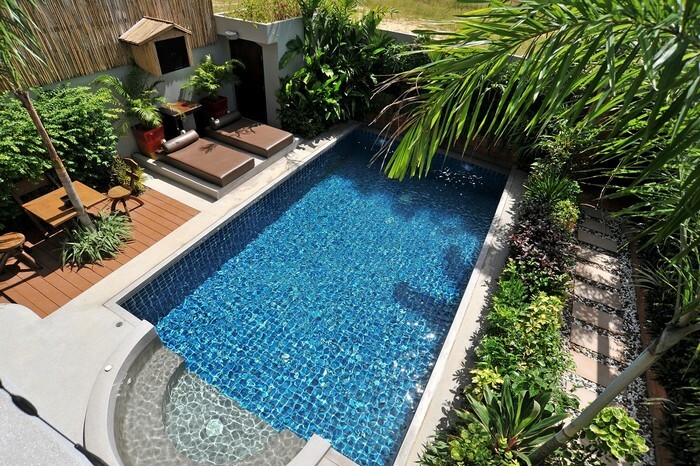 The stunning private pool is surrounded by a tropical plants and trees. 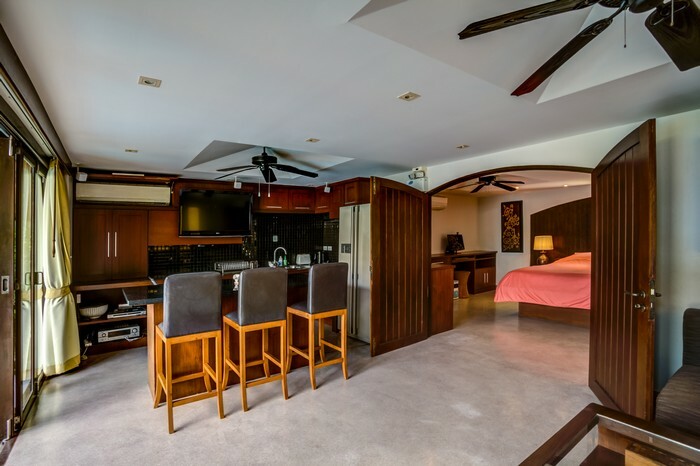 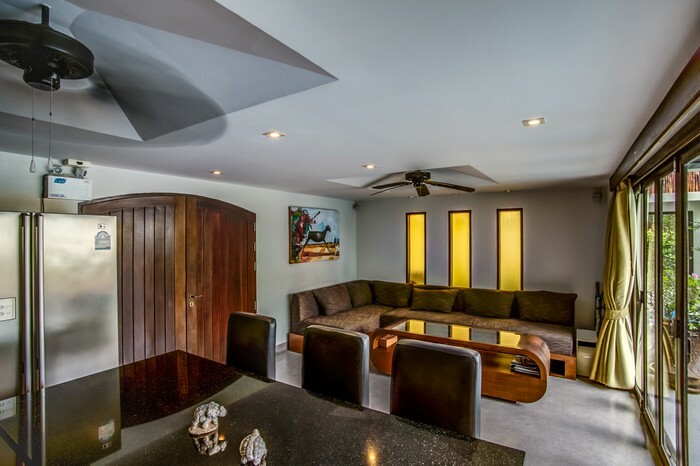 Open the double doors to the spacious living and kitchen area and you can enjoy open plan living in your own personal tropical paradise. 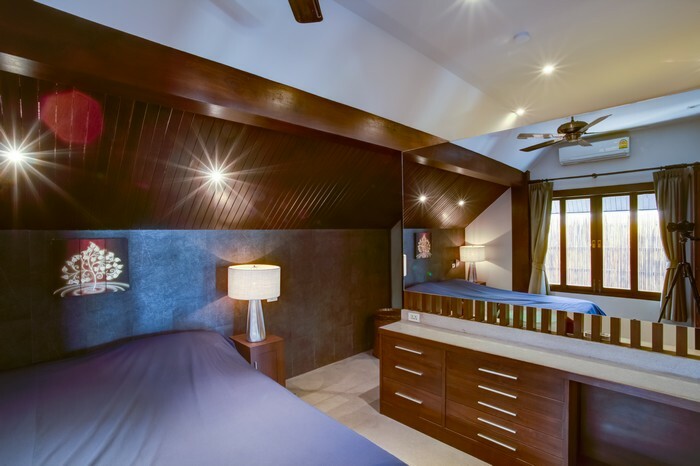 A stylish master bedroom is situated beyond this area. 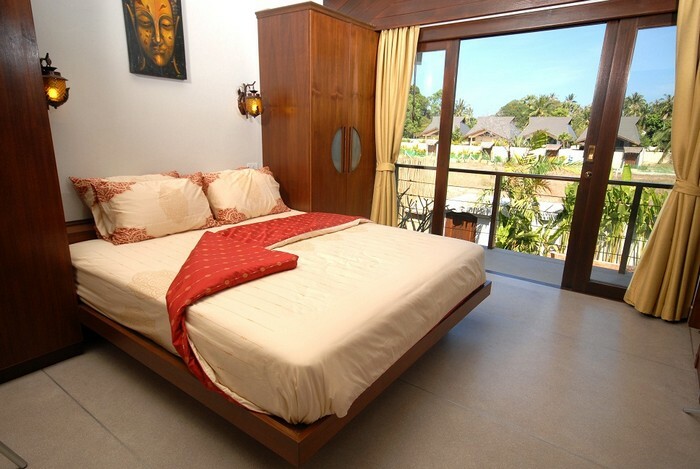 This bedroom boasts an en-suite bathroom and a private terrace which is accessed by large double doors. 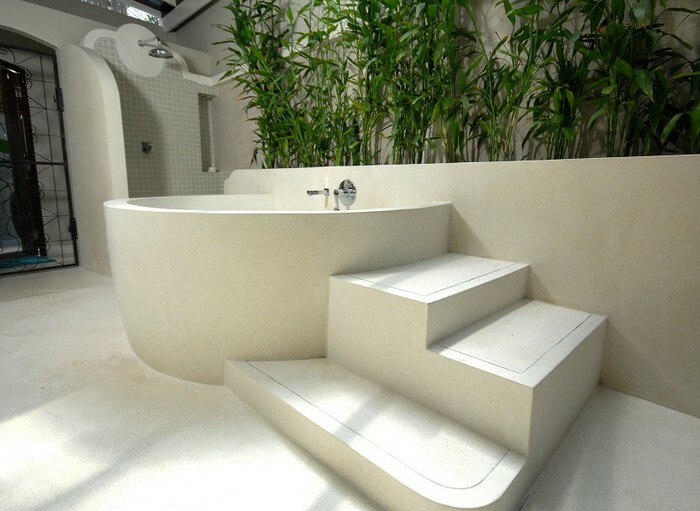 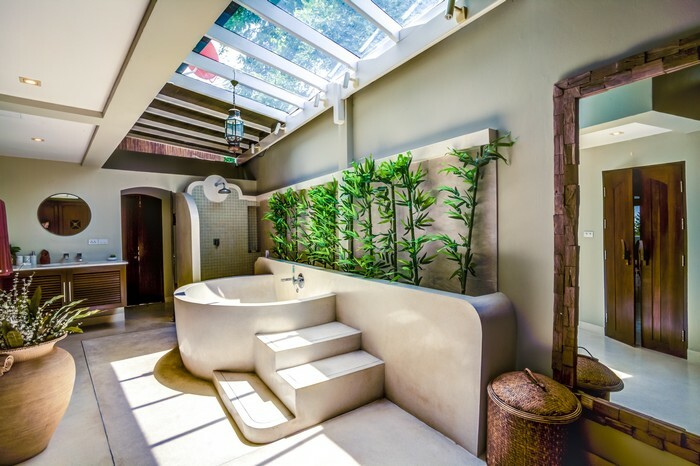 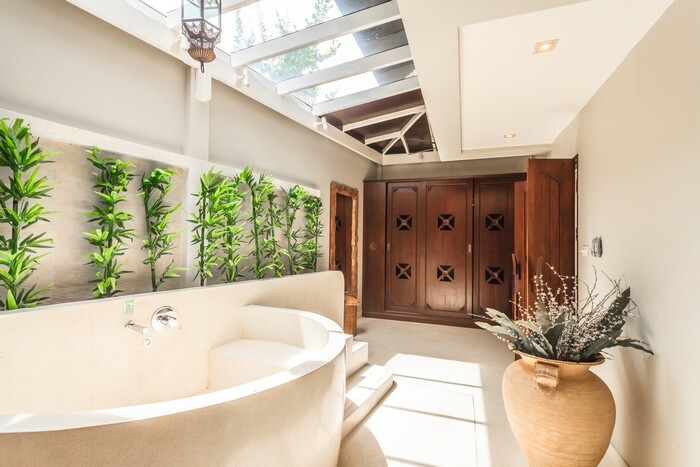 The state of the art bathroom features a large bath, ample storage space and internal access to the second floor that can also be accessed from the garden. 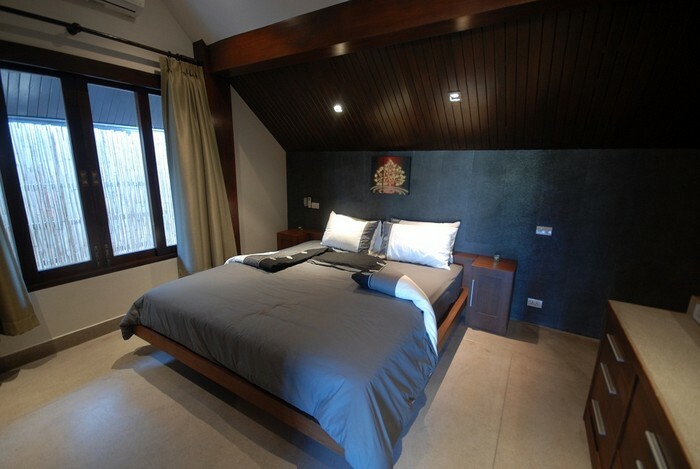 The second floor has two large and tastefully decorated double bedrooms with semi open plan en-suite bathrooms. 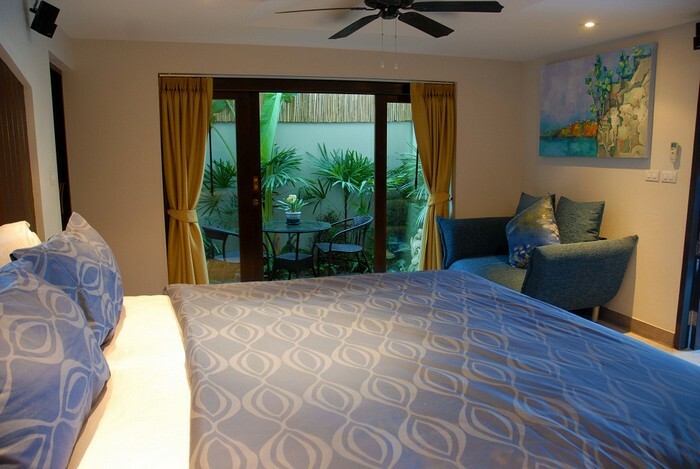 One bedroom has its own private balcony overlooking the pool. 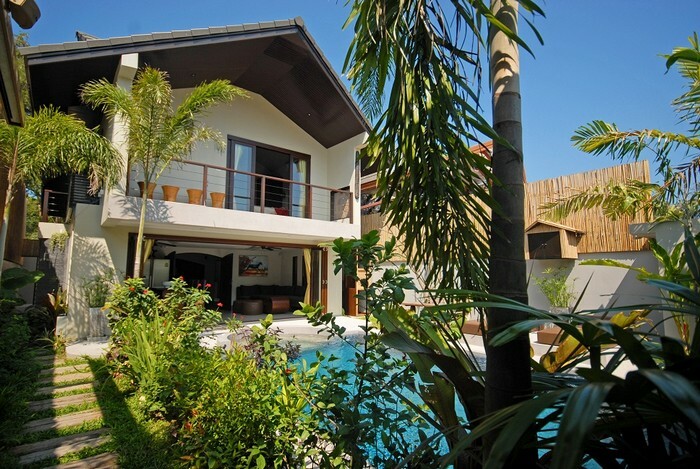 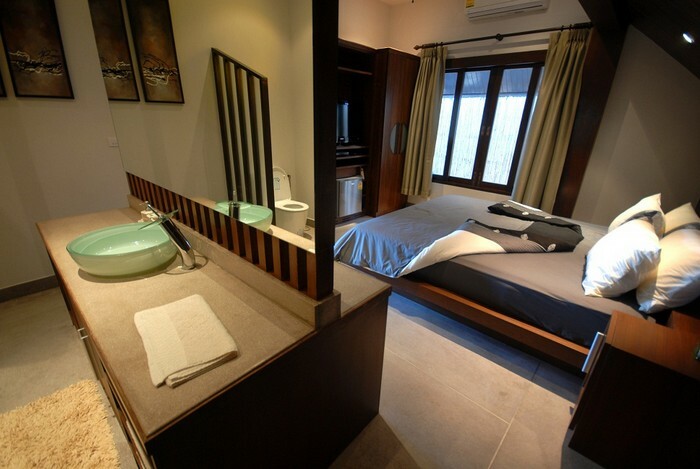 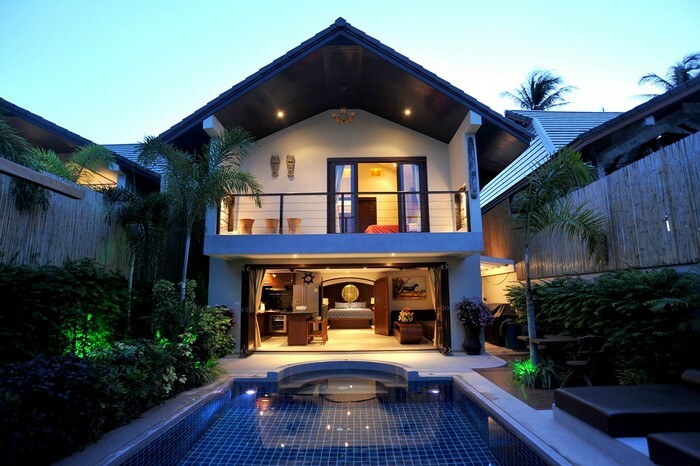 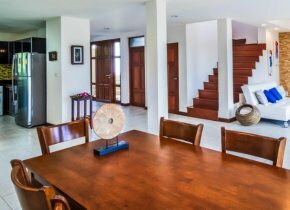 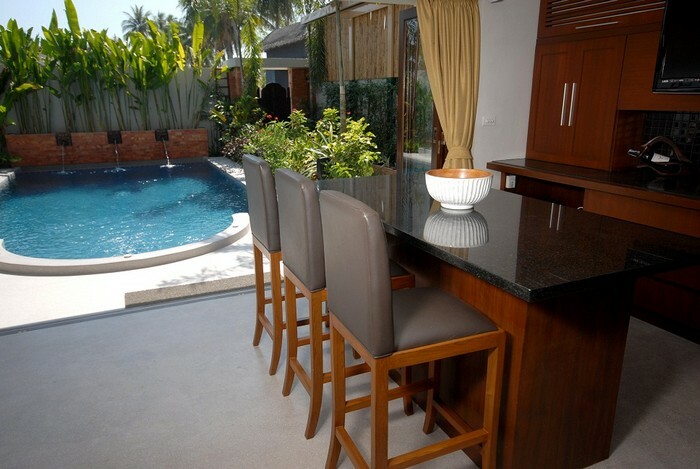 The villa is smartly designed to provide enough space for 3 couples or families with children in 3 equal bedrooms. 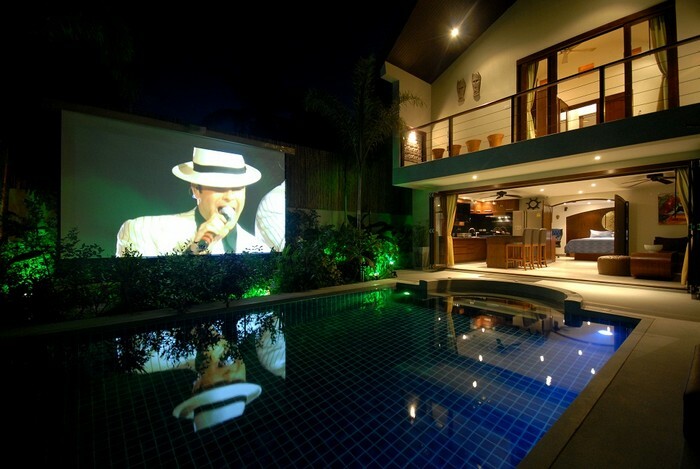 outdoor home cinema (video projector with large (3 metres) screen). 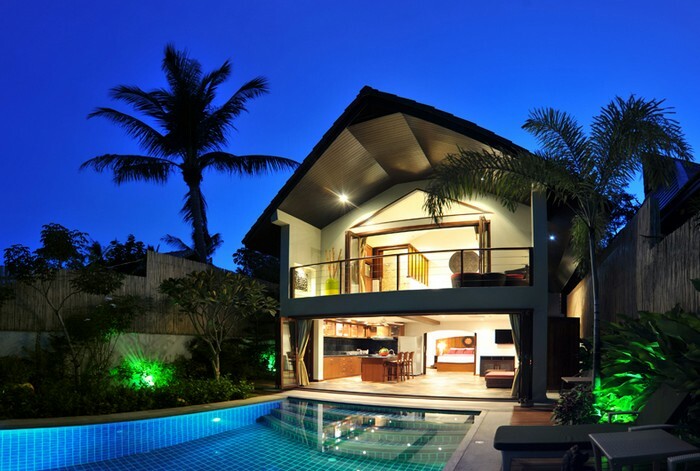 30% downpayment for dates allocation and balance will be paid 30 days before arrival. 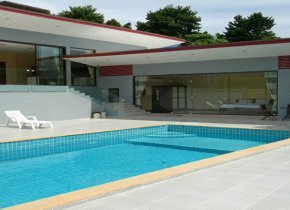 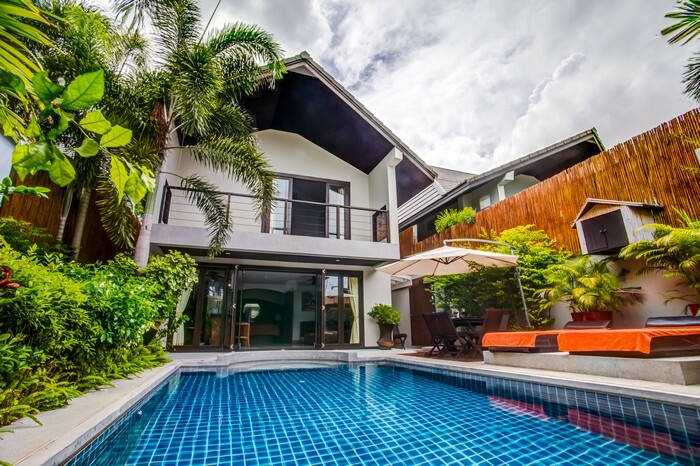 Security Deposit of 10,000 THB (200 GBP) will be collected upon check in and refundable upon check out.